The Axis pendant is on trend in a warm rose gold finish. 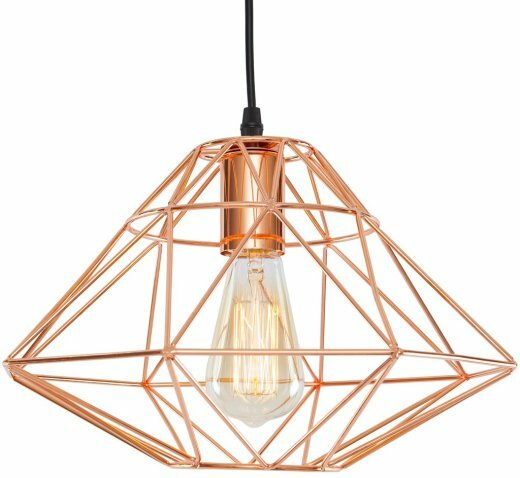 The pendant brings a modern yet industrial look to your space. The geometric lines and irregular silhouette will add an artistic touch. 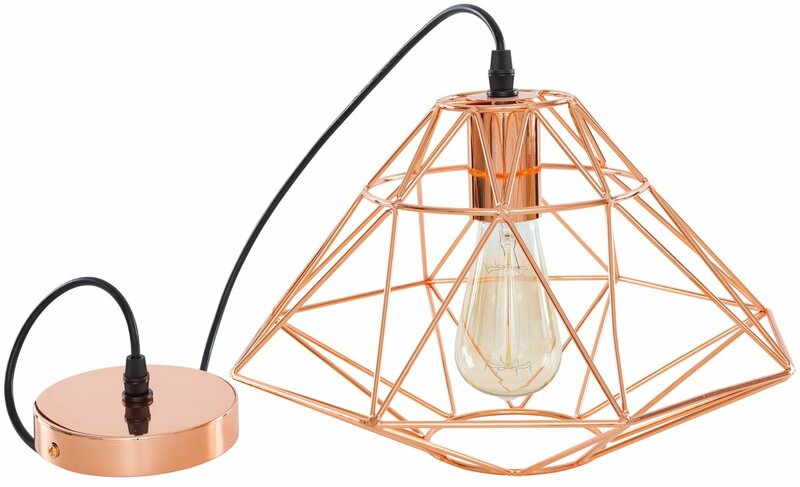 The exposed bulb (60W not included) and black suspension cord finish the pendant off. Cord is 60" in length. Fully dimmeable. LED compatible.